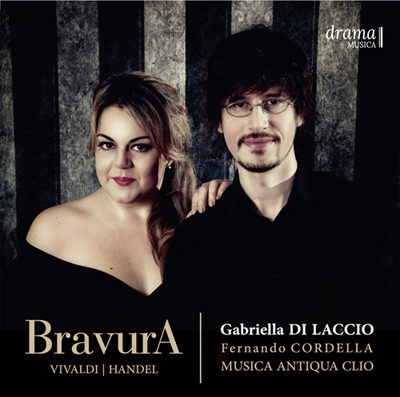 “Gabriella Di Laccio is a fine dramatic soprano, with a formidable technique, ably displayed in the three Vivaldi arias recorded here. Fernando Cordella sets cracking tempi, to which di Laccio fully responds – the well-known ‘Agitata da due venti’ (track 2) is particularly scintillating, with the da capo suitably embellished. “An exciting mix of the familiar - Rinaldo, Giulio Cesare - and the less so - Vivaldi's Juditha Thirumphans and L'Olimpiade... the whole dis bubbles with energy and risky coloratura with which Gabriella Di Laccio has no obvious difficulties." “Coloratura soprano Gabriella Di Laccio sings Handel and Vivaldi with great style... this CD is a testimonial of competence and talent."